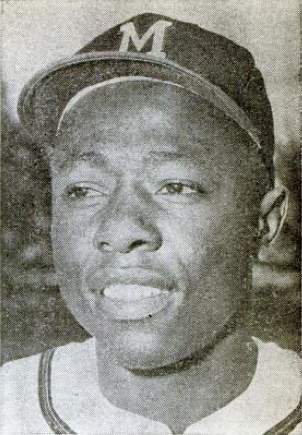 One of America’s greatest baseball players, Henry Louis “Hank” Aaron amidst racist death threats for getting ready to pass Babe Ruth’s home run record, broke the record with 715 home runs on April 8, 1974 for the Atlanta Braves in Atlanta Fulton County Stadium against the Los Angeles Dodgers. Hank Aaron was born February 5, 1934 in Mobile, Alabama. The baseball Hall of Famer held the Major League Baseball record 33 years with 755 career home runs. Nicknamed the “Hammer” or “Hammerin Hank”, with his MLB record, it isn’t difficult to figure how he got the nicknames. His professional career lasted from 1954 to 1976. Aaron spent the first 21 years with the Milwaukee/Atlanta Braves and the last two years with the Milwaukee Brewers. Since his retirement, Aaron has worked in the Front Office of the Atlanta Braves.